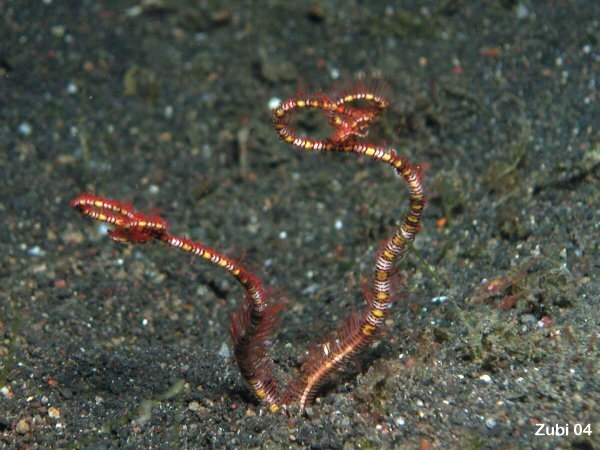 These brittle stars have very long arms, that's why they are also called serpent stars. You can see them mostly at night, during the day they hide in crevices and underneath coral blocks. 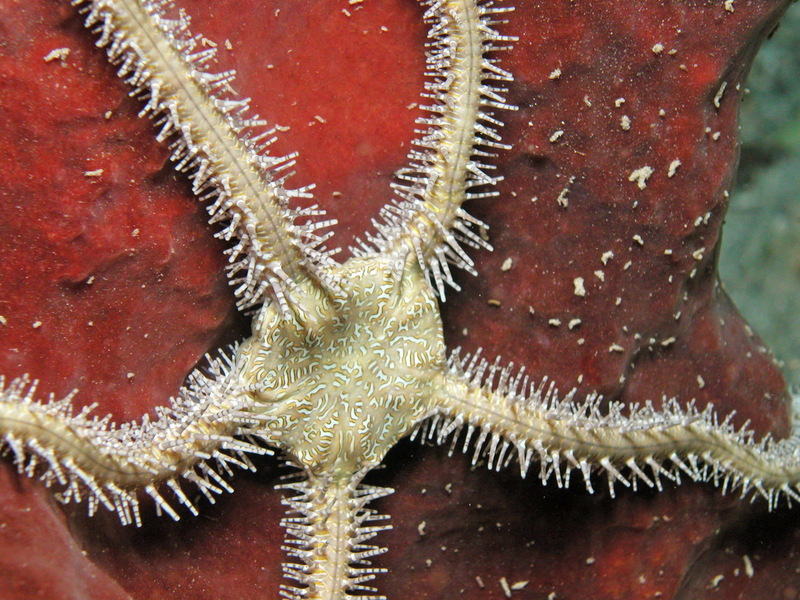 Some brittlestars such as Amphiura bury in the sand and only show a couple arms above the surface.